The show yesterday was outstanding. 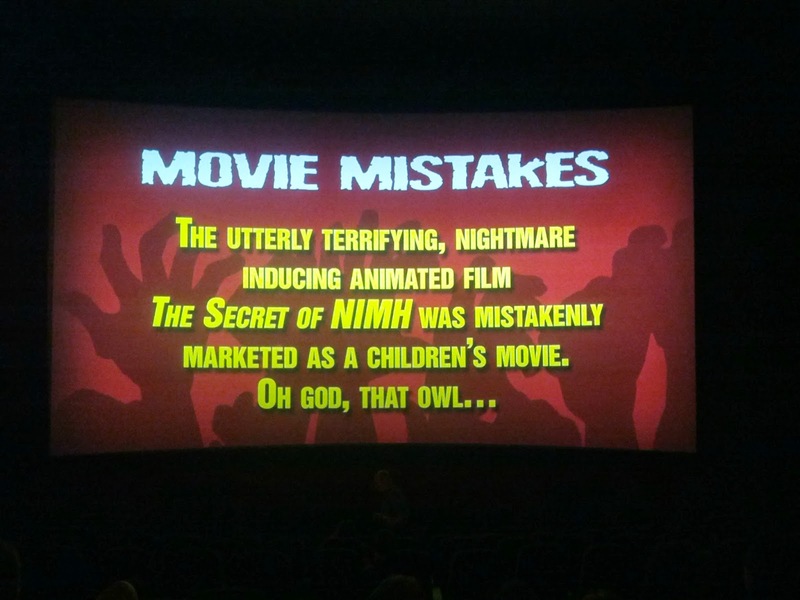 The theater was a good seventy-five percent full, and ninety-five percent of them were laughing a good eighty-seven percent of the time. It was one of their very best riffs, and I would like to share my favorite riffs from the show. Just to know, some of these might not be exactly what they said, but it wasn't like I could take notes last night. Waking up in a strange house with hammering sounds in the background? The same thing happened to me when I was roofied by Bob Vila! She escaped from the zombies, but there's two-thirds of a human centipede in the basement. That's how they used to put Elvis to bed, too. A fitting end to the Honey Boo-Boo saga. Intestines are the Fruit Gushers snack of the undead. AAAHHH! A Jeff Dunham puppet! That's messed up making him ride in the back. This just in: Miley Cyrus is now licking the Lincoln Memorial. You're my only friend, doily! If you missed this show, they generally release them as downloads or on DVD. So be on the lookout. 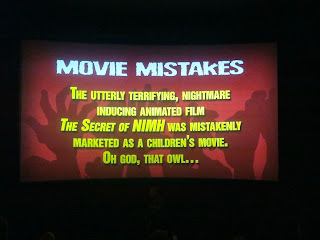 If you've never gone to a RiffTrax Live event, don't miss the next one! Santa Claus Conquers the Martians is a real yule log of a movie, if you know what I mean. Tickets are on sale now, and these things have been selling out fast, so don't wait to get yours!